PrimeServ Las Palmas held its official opening at the beginning of October 2010 in front of a large audience from the Canary Islands, the Spanish mainland, MAN Diesel & Turbo’s power-plant and marine sectors, and which included colleagues from around Europe. PrimeServ Las Palmas has de facto been open for business since the beginning of 2010, and transported guests to its new facilities aboard a catamaran powered by MAN engines to demonstrate how customers can conveniently berth vessels right in front of its premises. 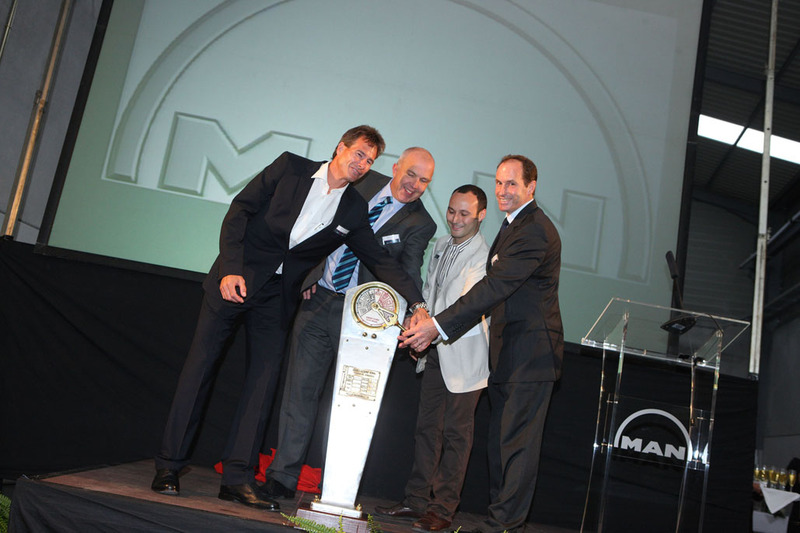 Alejandro Held – Managing Director of MAN Diesel & Turbo Spain, Wayne Jones – Head of MAN Diesel & Turbo’s After-Sales Business Unit, and Dr. Stephan Timmermann – MAN Diesel & Turbo Executive Board, held speeches welcoming customers and guests alike, and highlighting MAN Diesel & Turbo’s efforts to move closer to its customers through the continued, global expansion of the MAN PrimeServ network. Oscar Martinez, Service Manager of MAN PrimeServ Las Palmas, was then invited on stage to help move the handle on an engine order telegraph to full-speed ahead, symbolising the new hub’s starting of its engines and its orders to sail confidently forward. The origins of the Las Palmas office can be traced back to 2005 when MAN Diesel & Turbo established a working group tasked with improving the quality of service to Spanish customers. The group’s study of Spanish goods and ship movements subsequently led to the establishment of PrimeServ Valencia. That hub, inaugurated in 2008, is located just 20 minutes from the port of Valencia and 30 minutes from the port of Sagunto – both busy ports on Spain’s eastern coast, while the opening of Las Palmas represents the next element in the company’s Spanish strategy. PrimeServ Las Palmas will provide a service for two-stroke and four-stroke engines, as well as turbochargers for which the company has purchased a complete, turbocharger-balancing machine. The new hub aims to serve local customers as well as those based on the west coast of Africa and its hinterland.